At almashines we are determined to lead every institution to build vibrant alumni network, maintain endless relationship and discover invaluable alumni potential. Their humble words make us push our limits! The online alumni website of HLCAA is helpful in connecting with the alumni spread across the globe as well as in communicating with them in an efficient manner. 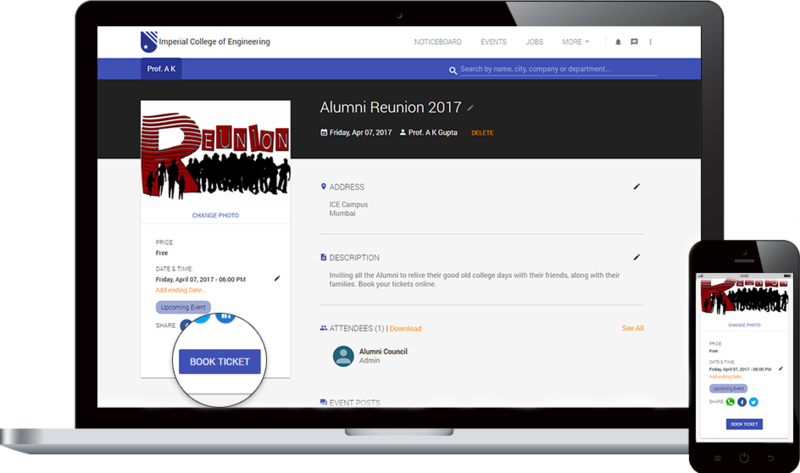 The alumni event management portal also helps in providing convenient mechanism to reserve tickets and do the necessary registrations. With this software, and support from AlmaShines, we have been able to create a substantial digital presence for the HL Alumni community. We have been working with AlmaShines to setup our Alumni website and Mobile App and it has been a great experience. Although the team is young, they are very dedicated and extremely open to feedback. Thanks to the founders, who themselves spend time with us every week to ensure that the Ashoka Alumni Portal is effective. I have not come across a single organization so far which displays such flexibility. 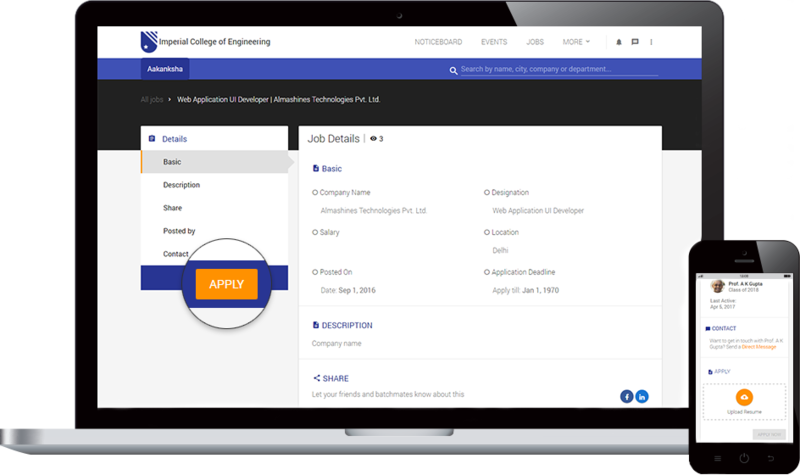 It is through GNU Alumni Management Software that we have been able to bridge the gap between the Alumni and current Students in the most productive direction. With Initiatives like Alumni Internship Program, we have been able to achieve Alumni support for upliftment of the Student's Career by providing them better Internships/Placement Opportunities. 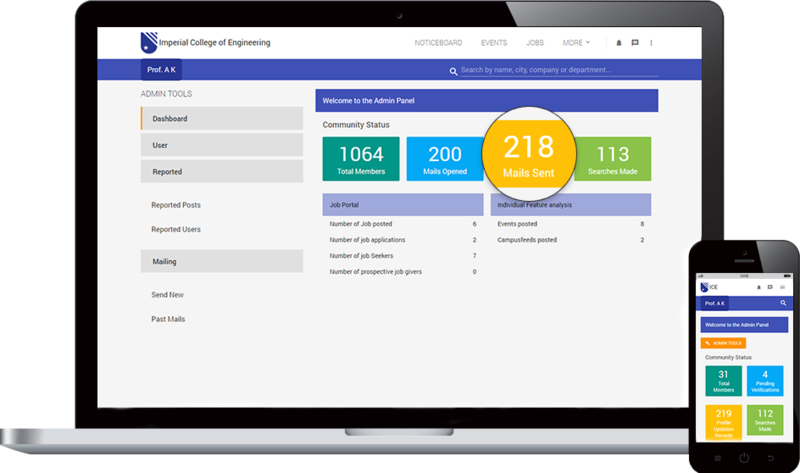 The features of the IESMCRC Alumni Portal built by AlmaShines are their best strengths! 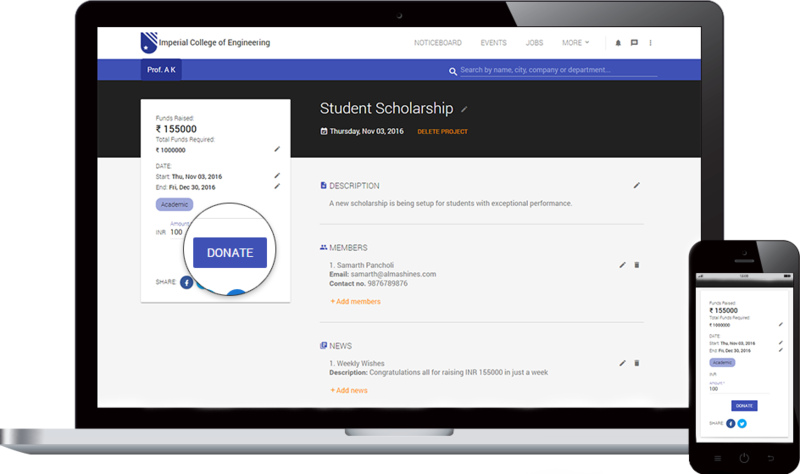 They've facilitated in building a strong channel for Alumni Interaction and made it possible to gain their support for the College whenever an opportunity calls for it.